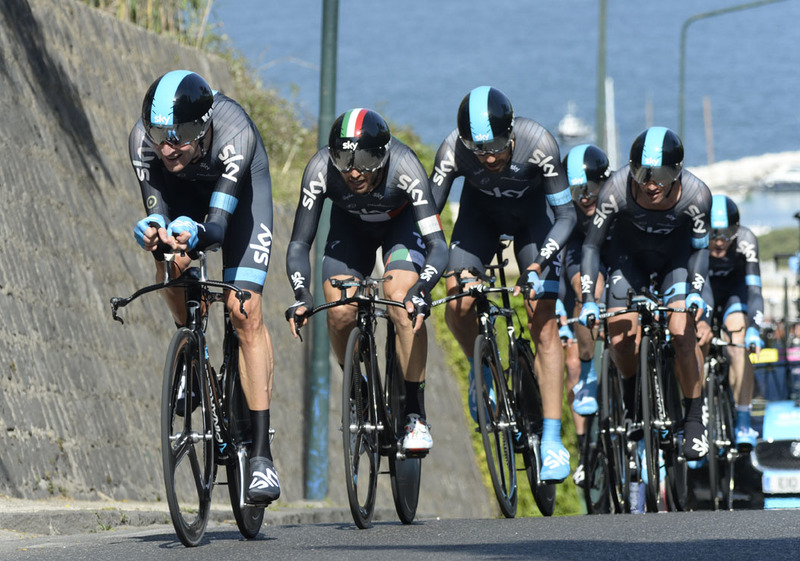 Team Sky won Sunday’s 17.4-kilometre Giro d’Italia team time trial from Ischia to Forio with an authoritative display, and put Italian Salvatore Puccio into the pink overall race leader’s jersey in the process. 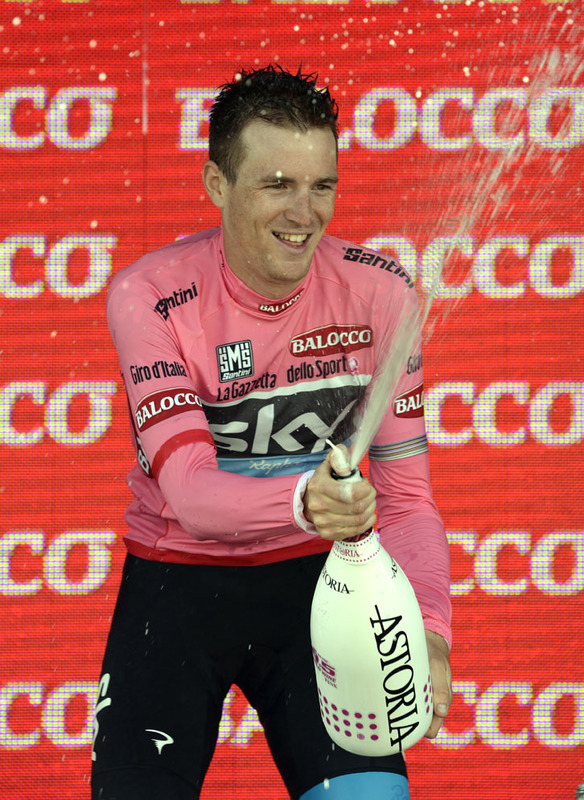 This is the young Italian’s first Giro, and, as an Italian, looked both proud and surprised to adorn the iconic jersey on the podium. Eighth off the start ramp, Sky posted the winning time of 22 minutes and 5 seconds early on, and though the likes of Movistar and Astana threatened at the intermediate time check, Sky’s winning margin was a comfortable one. The victory puts Sky leader Bradley Wiggins into an imposing position on the overall classification, where he now ranks second, ahead of all his GC rivals. 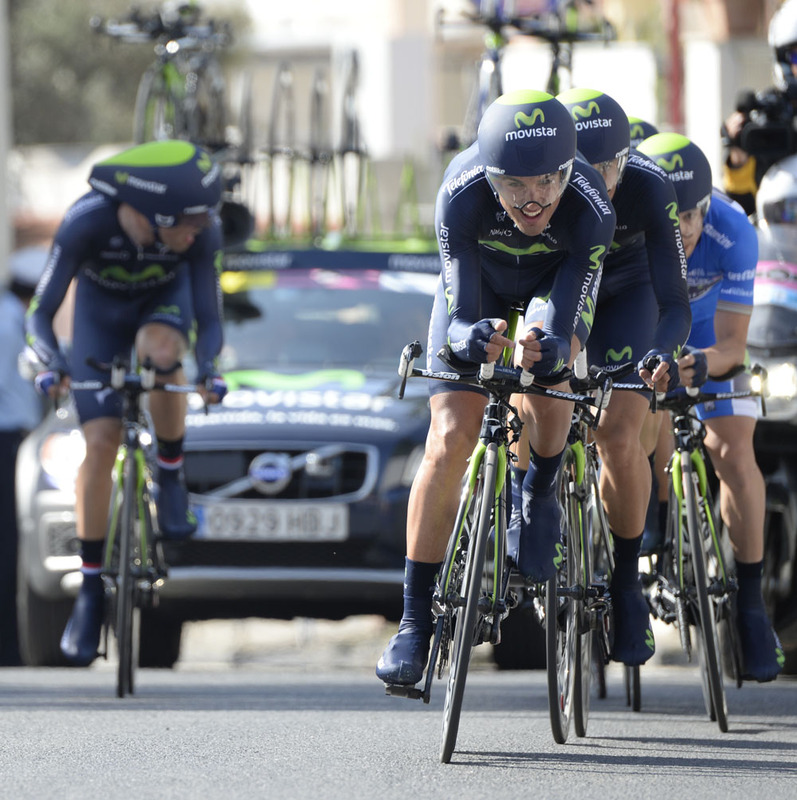 Movistar, who had the quickest time at the halfway time check, were second at nine seconds down, while in third place was Astana, who did well to limit leader Nibali’s losses to Wiggins to just 14 seconds. Puccio takes the jersey from Mark Cavendish, who sacrificed the leadership following a below-par effort from his Omega Pharma-QuickStep team. 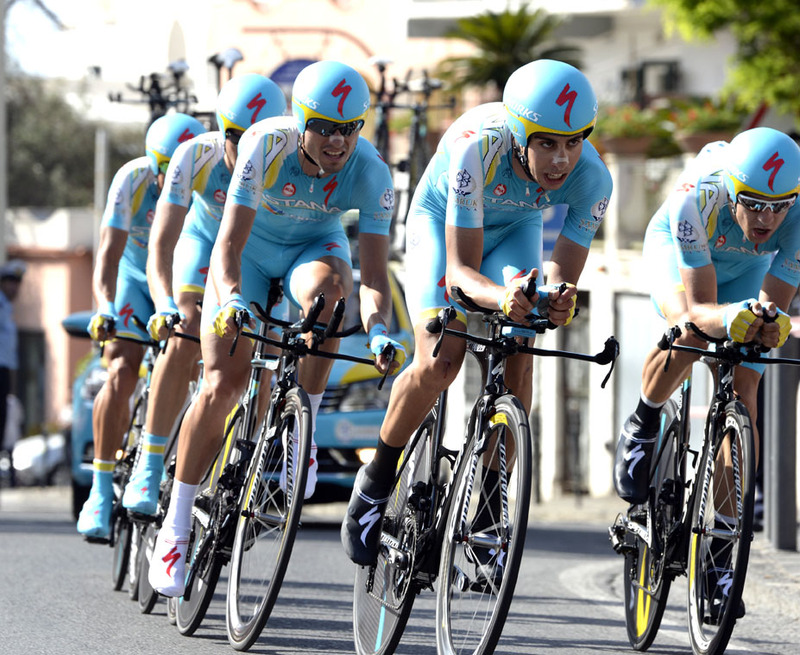 The Belgian outfit finished way down in 17th, failing to maintain the 20 second buffer to keep hold of the jersey. Cavendish does, however, continue to lead the points classification. 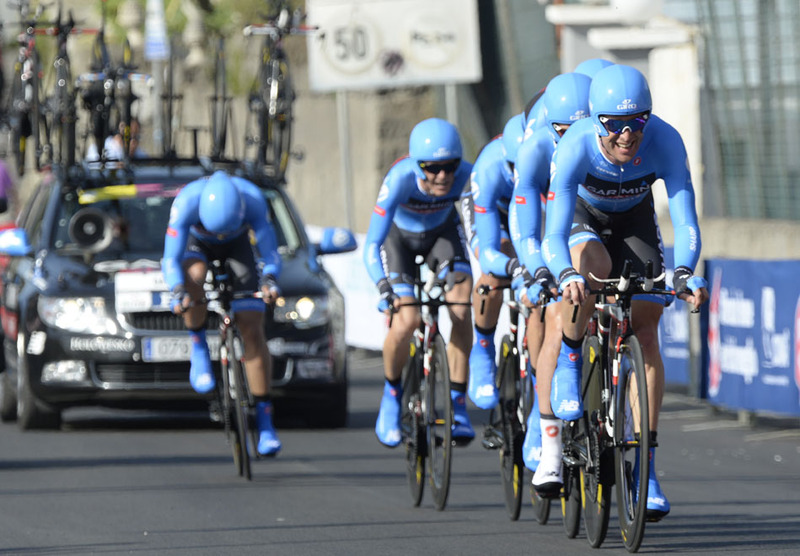 Other teams to underachieve were Garmin-Sharp and BMC, who despite usually excelling at the discipline could this time only manage seventh and 11th, with their leaders Ryder Hesjedal and Cadel Evans losing 25 and 37 seconds to Wiggins respectively. Arguably the day’s biggest loser, however, was Samuel Sanchez, whose Euskaltel team lost over a minute in farcical circumstances. Going into the last kilometre they had disastrously dropped all but four of their riders, with their fifth man struggling several bike-lengths behind. As the team’s score is recorded as the time of a team’s fifth rider, the four remaining Euskaltel men virtually free-wheeled to the line, helplessly looking behind them to discern the whereabouts of the missing man. Other GC contenders whose prospects were checked included Lampre’s Michele Scaproni, who lost 22 seconds, Robert Gesink whose Blanco team finished 28 seconds behind, and the Ag2r duo of Domenico Pozzovivo and Carlos Betancur, who each conceded 49 seconds. Sky will have no desire to defend the lead this early in the race, with many days of hard work helping Wiggins in the mountains awaiting them, but Puccio is likely to hold onto the jersey in tomorrow’s stage to Marina di Ascea where sprinters’ teams will seek a bunch finish.